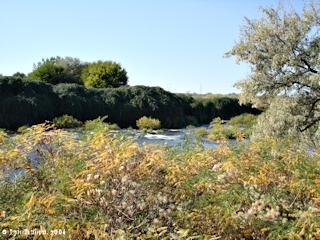 Click image to enlarge Umatilla River, Oregon, looking towards mouth. Umatilla River, looking downstream towards its confluence with the Columbia River, as seen from the Highway 730 bridge crossing the Umatilla. Image taken September 29, 2003. The Umatilla River is located on the Oregon side of the Columbia River at River Mile (RM) 289. 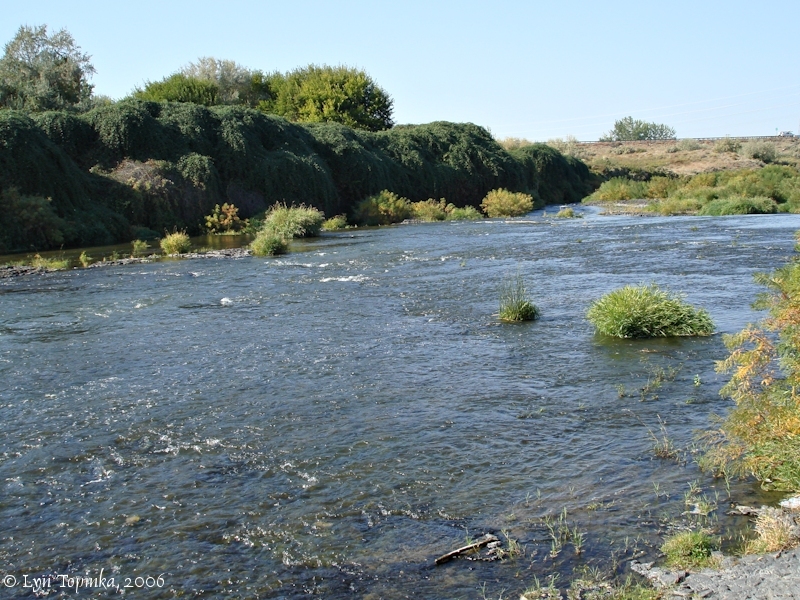 The river is three miles downstream from the McNary Dam and the town of Umatilla, Oregon. Plymouth, Washington is located across the Columbia on the Washington side. Downstream of Umatilla and the Umatilla River is Irrigon, Oregon, the location of Lewis and Clark's campsite of October 19, 1805. According to the Columbia Basin Fish and Wildlife Authority website (2004), the Umatilla River drains an area of nearly 2,290 square miles, and originates in the Blue Mountains of northeastern Oregon. It flows north and west to enter the Columbia River. Elevations in the Umatilla River drainage range from about 5,800 feet near Pole Springs on Thimbleberry Mountain to 260 feet at the mouth of the Umatilla River. The south and east portions of the drainage lie on the steep, timbered slopes of the Blue Mountains within the Umatilla National Forest. The remainder of the drainage consists of moderate slopes and level terrain. "... We were detained till nine o'clock, before a horse, which broke loose in the night, could be recovered. We then passed, near our camp, a small river, called Youmalolam, proceeded through a continuation, till at the distance of fifteen miles, the abrupt and rocky hills three hundred feet high, return to the river. These we ascended, and then crossed a higher plain for nine miles, when we again came to the water side ..."
The river is marked on Lewis and Clark's route map [Moulton, vol.1, map#75] as the "You ma lol am R", their spelling of the Indian name for the river. 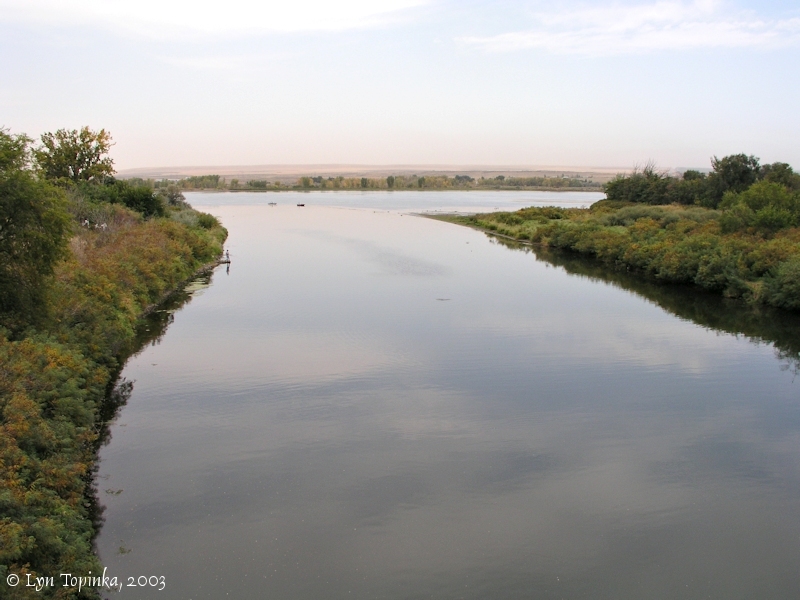 Lewis and Clark camped across from the mouth of the Umatilla River on April 26, 1806. In 1838 the "Map of the United States Territory of Oregon West of the Rocky Mountains, Exhibiting the various Trading Depots or Forst occupied by the British Hudson Bay Company, connected with the Western and northwestern Fur Trade. Compiled in the Bureau of Topographical Engineers, from the latest authorities, under the direction of Col. J.J. Abert, by Wash: Hood." had the river labeled "Umatallow R.". Upstream the Wallula Gap area of the Columbia River was labeled "Gt. Bend.". In 1836 naturalist John Kirk Townsend visited the Umatilla River. He called it the "Utalla" or "Emmitilly" river. In 1841, Charles Wilkes, on his "Map of the Oregon Territory", listed the river as "Umatilla R." on the main map of the territory, and "Umatilla or Utilla" on the inset map of the Columbia River. Other various spellings of the name exist. Alexander Ross gives "You-matella" and "Umatallow" and John C. Fremont give "Umatilah". Other names appearing on early maps were "Utalla", "Ewmitilly", "Eu-o-tal-la" and "Umatella". 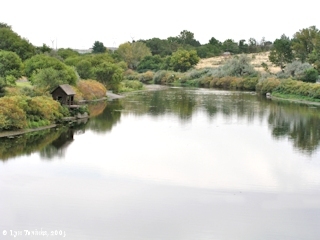 Click image to enlarge Umatilla River, Oregon, at Interstate 82. View from Umatilla River Road, looking downstream. Image taken September 29, 2006. Click image to enlarge Umatilla River, Oregon, looking upstream. Umatilla River, looking upstream, as seen from the Highway 730 bridge crossing the Umatilla. Image taken September 29, 2003. 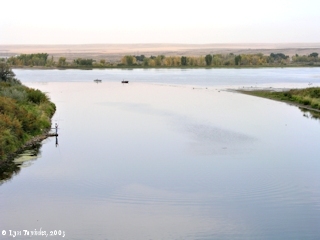 Click image to enlarge Umatilla River, Oregon, at mouth looking across the Columbia River. Plymouth, Washington is on the Washington bank. View from the Highway 730 Bridge crossing the Umatilla. Image taken September 29, 2003.